Virginia State Police Capt. 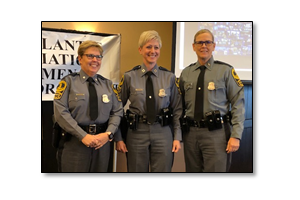 Tricia W. Powers is the 2019 recipient of the esteemed Mid-Atlantic Association of Women in Law Enforcement’s (MAAWLE) Lifetime Achievement Award. Powers was recognized this week at the 33rd Annual MAAWLE Conference in Poconos, Penn.